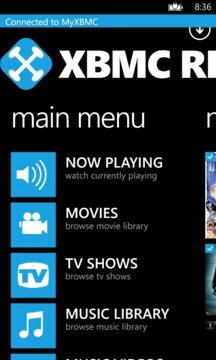 XBMC REMOTE lets you control your XBMC 11 (Eden) or 12 (Frodo) mediaservers. Browse/Play Videos, Music, MusicVideos, TVshows and file sources. 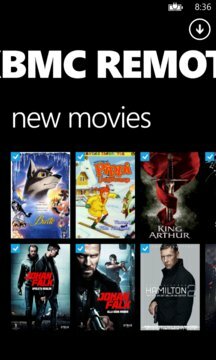 The remote is always available by clicking the arrow in the upper right corner. Settings to require Wifi connection available. In Now Playing screen, Swipe Left/Right to change track in playlist.